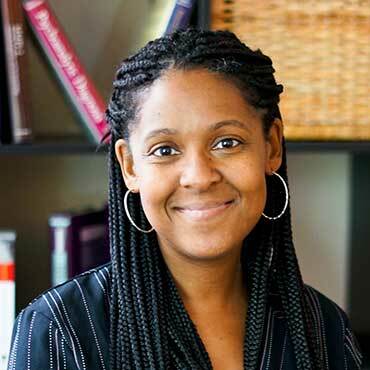 Dr. Keyona S. Thomas is the Director of Clinical Services of Mid-Atlantic Children’s Services, Inc. She is a Licensed Clinical Professional Counselor in Maryland and Washington, D.C. Dr. Thomas has over15 years of experience working within the mental health field. She conducts individual therapy and group therapy, as well as psychological assessments (under supervision). She also conducts regular consultation and supervision to trainees and mental health professionals. Dr. Thomas’ background includes working with children, adolescents, and adults in various settings (to include detention facilities), adults suffering from substance abuse and other addictions, as well as conducting parental capacity and parental screening assessments to court ordered individuals involved in the criminal justice and social services systems (under supervision). Dr. Thomas accepts appointments at our Maryland and Virginia Locations. EDUCATION: Bachelor of Arts in Psychology at Georgetown University (2001). Masters in Counseling Psychology at The American School of Professional Psychology at Argosy University (2003). Doctorate in Clinical Psychology at The American School of Professional Psychology at Argosy University (2009) (APA-Accredited).